Hot on the heels of Emma Roberts, David Connearn, also of Greenwich has successfully scored his first quarter peal, at the first attempt, by ringing the tenor to a well struck quarter peal of Grandsire and Plain Bob Doubles at St Alfege Greenwich. David is not far off being ready to ring the treble to a quarter peal and it will now be a race between David and Emma to score the second quarter peal needed to achieve Learning the Ropes Level 3. It is also encouraging that there are seven more ringers from Greenwich and Isle of Dogs all working through Learning the Ropes, with Bo and Piers Myers of Isle of Dogs reaching Level 1 on the same day at the Middlesex CA and London DG summer school at Kensington, and having only started to learn five days before. This group may soon be joined by several more, so David and Emma will have a lot of competition to see who reaches Level 5 first. 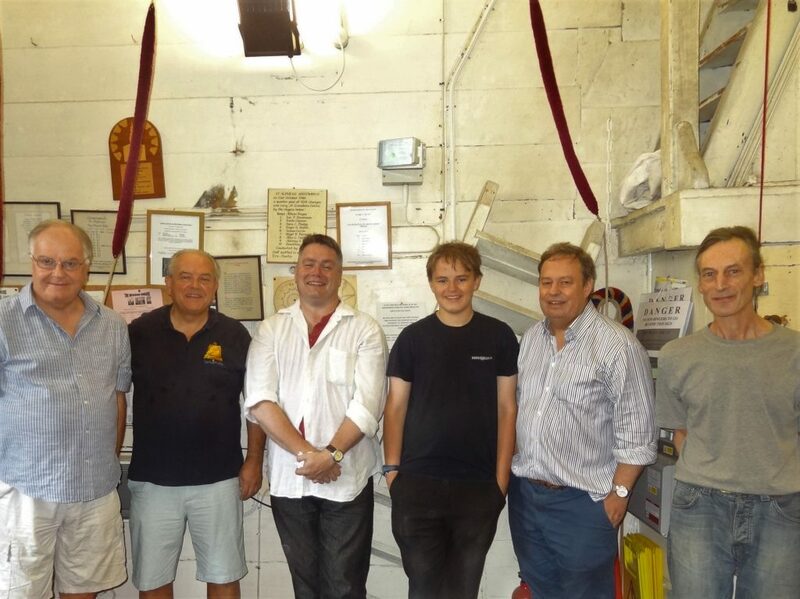 This entry was posted in News, Peals & Quarters, Training and tagged ART, bellringing, Greenwich, Isle of Dogs, Learning the Ropes on 26 August 2017 by Roger.